Whitehaven Beach, a stunning beach made up of pure white powdery sand called silica which squeaks between your toes. It’s a picture perfect location where the kids can play in the soft white sand and swim in the inviting, calm and clear acqua blue water. Located in a national park, the beach is only accessible by boat and the remoteness of it is one of the reasons why it’s one of the best beaches in the world. Spend a day on The Great Barrier Reef with your kids. 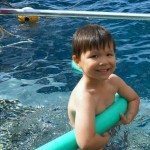 Time flies by as the kids are entertained with fun activities including; semi-submersibles to view the abundant fish and coral, fish feeding, snorkelling on the reef with your kids, and swimming in the ocean. See my post Tag Team at the Great Barrier Reef. Made up of 75 islands along the tropical coast of North Queensland, the Whitsunday’s is paradise found. 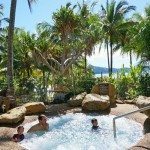 Relax on picturesque Hamilton Island a kid friendly oasis, with beautiful and calm Catseye Beach dotted with tall palm trees. 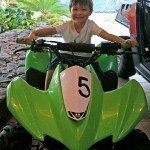 There are plenty of resort options and kid friendly activities on offer. The best part of staying at the Whitsunday Holiday Apartments is the view from the balcony on the higher floors over the water. The sunsets were beautiful. 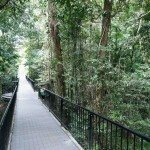 The kids can experience the rainforest via kid-friendly (and stroller friendly) boardwalks setup above the rainforest floor; allowing them to safely explore the lush green vegetation, see the clear running streams and spot a resident cassowary. A short stroll through the Daintree Rainforest leads you to Mossman River Gorge. It’s a beautiful sight, large granite boulders forms emerald green pools of water. Making it an ideal spot for the kids to paddle in. It’s so clean and clear that you can see fish swimming along the river floor. Palm cove is a laid back beach town made popular for it’s yoga and spa retreats. Palm Cove Beach is a sheltered beach perfect for children to have a splash. There are also great picnic areas along the beach and a purpose built playground on the sand. The esplanade runs across the road with understated family friendly restaurants and shops where you can sit and enjoy the sunset on the water. This 8 day itinerary is broken into two halves. The first half of the holiday is exploring The Daintree region and The Great Barrier Reef covering Palm Cove and Port Douglas. 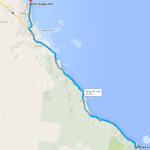 The second half covers the Whitsundays, Hamilton Island and Whitehaven beach. 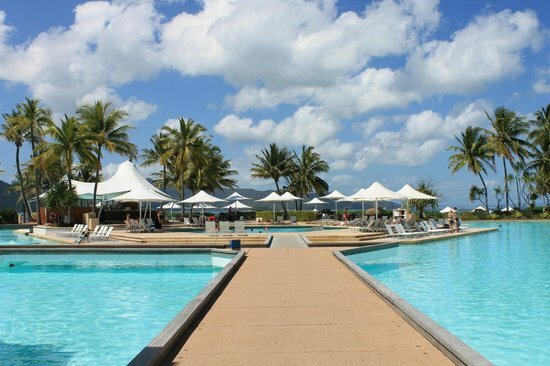 This itinerary can be shortened to 7 days by having one less day on Hamilton Island. You can also reverse the order of this itinerary by flying into Hamilton Island first and then flying to Cairns. If you have more time, I would recommend heading further north perhaps even for an overnight at Cape Tribulation. Also spending more time relaxing in the Whitsundays. Arrive in Cairns. 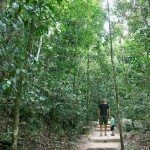 Hire a car and drive 40 minutes to Palm Cove. Check-in to accommodation and chill by the pool. 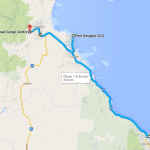 Alternative is to stay in Port Douglas (1 hour) or stay in Cairns. Drive to Port Douglas(40 minutes) and grab some lunch and supplies. Continue North (5o minutes) to The Daintree Rainforest and explore Mossman Gorge. Return to Palm Cove for a play by Palm Cove Beach. Have dinner at the Palm Cove Esplanade as the sunsets on the water. Alternative is to continue on to Cape Tribulation. Drive to Port Douglas (40 minutes) or Cairns (30 minutes) Board your boat and cruise to the Great Barrier Reef (1.5 hours) Spend the day on the Great Barrier Reef Tours leave from both Port Douglas and Cairns. Return to Cairns airport (30 minutes) Fly direct to Hamilton Island (1 hour 25 minutes). 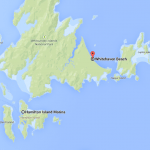 The only island with an airport in the Whitsunday Islands. Alternatives to Hamilton Island are Day Dream Island and Hayman Island. 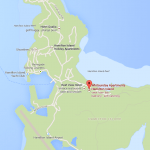 Arrive Hamilton Island and spend the day between the resort and Catseye Beach. Time to unwind. 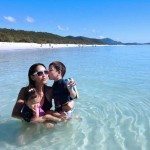 Day 6 Board your catamaran to cruise to Whitehaven beach (30 minutes) Spend a glorious half-day on Whitehaven Beach Return to Hamilton Island and spend the rest of the day by the pool, beach or spa. Explore Hamilton Island by free shuttle bus or golf buggy Take a bit to eat near the Hamilton Mariner. Enjoy some more time by the beach or pool You can shorten this day if you need to compact your holiday to 7 days. It means less time chilling on Hamilton Island. 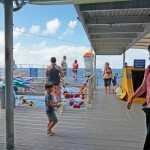 Cairns is the closest point and gateway to the reef, if you want to see the best part of the Great Barrier Reef, see it from Cairns or Port Douglas where tours depart to the outer reef. 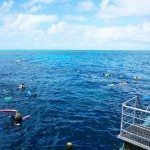 You know when you are doing it right, when you see the reef from the same point as the BBC Earth documentary crew whom filmed Great Barrier Reef Documentary on the outer reef. Tours regularly depart for Great Barrier reef from the Whitsundays. However, it’s quite a distance from the Whitsundays to the outer reef and most tours do not take you to the outer reef. 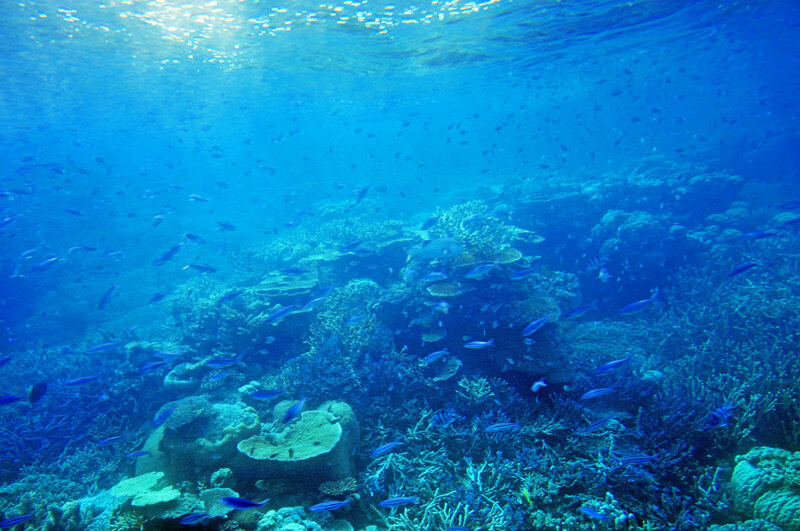 Therefore, the coral is not as dense the marine life not as abundant and the water shallow which can make it murky. Wings Diving is a 4 day live-aboard tour on a catamaran, taking you to the http://www.tripadvisor.com.au/TravelersChoice-Beaches-cTop-g1-a_Mode.expanded reef from the Whitsundays. The best time to visit North Queensland is in the the dry season from May – October. North Queensland is tropical so during the summer (wet season) it’s hot, humid and monsoonal. This is the time where there are jelly fish and stingrays in the water so swimming in the beaches is not recommended without a stinger suit. Although you can visit year round, North Queensland shines in the dry season. Average temperatures are between 25-28 degrees. There are blue skies, less humidity and you can freely swim in the water without being stung. We went in August and it was glorious. The water was a touch cooler but the days were warm without it being too clammy and hot. Fly into Cairns International Airport to start your trip around North Queensland. 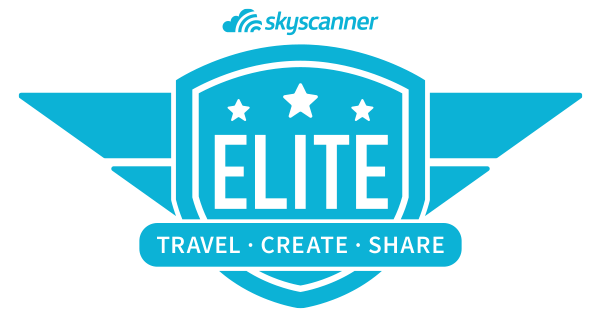 From Brisbane to Cairns airport direct, it is an easy 2 hour flight with 2 kids in tow. Most Australian cities have direct flights to Cairns. 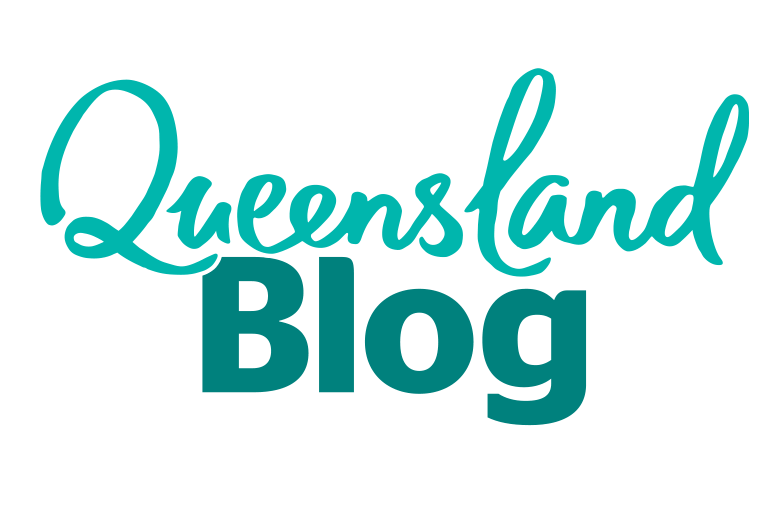 For a list of which airlines fly direct to Cairns here. Visit Cairns Tourism website for or more information. 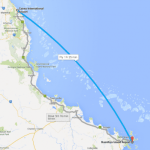 The most direct route is flying into Great Barrier Reef Airport on Hamilton Island. From Cairns to Hamilton Island it was an 1.5 hour flight. You can also access the Whitsundays by flying into Prosperine Airport and getting a ferry transfer from Shute Harbour. For all other islands a ferry transfer is available from Hamilton Island or transfers are also available from Shute Harbour. Visit Whitsundays Tourism website for more information. It’s best to hire a car for the first part of this itinerary as there is quite a bit of distance to cover. 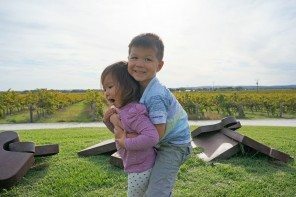 Having your own set of wheels with kids means that you are able to go at your own pace and road trip around without sticking to the schedules set by bus tours. See the list of car companies located in Cairns International Airport. For The Great Barrier Reef, unless you have access to your own boat, families will need to get to and from the reef via the many tours that depart from either Airlie Beach, Cairns or Port Douglas. A more luxurious option is to see the reef from a helicopter, skipping the 1.5 journey by boat via Cairns or Port Douglas. Hamilton Island is extremely convenient to get around offering free transfers and free shuttle bus around the island. You can also hire a golf buggy to independently explore the island. A car hire is not needed on Hamilton. 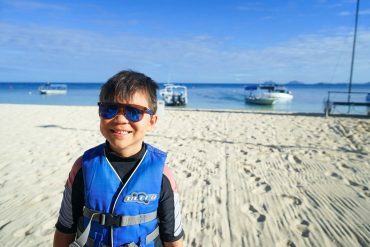 For those with older children, you can hire a dinghy for small trips during the day, sail your own bareboat, charter a crewed catamaran or yacht to cruise around the Whitsundays. 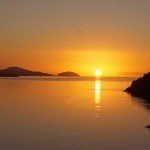 The Whitsundays is all about sailing, if you have older kids consider hiring a boat or going on organized boat tours (many are over a few days) to see the islands of the Whitsundays. Take advantage of snorkelling in secluded cays and anchoring at your own private beach. 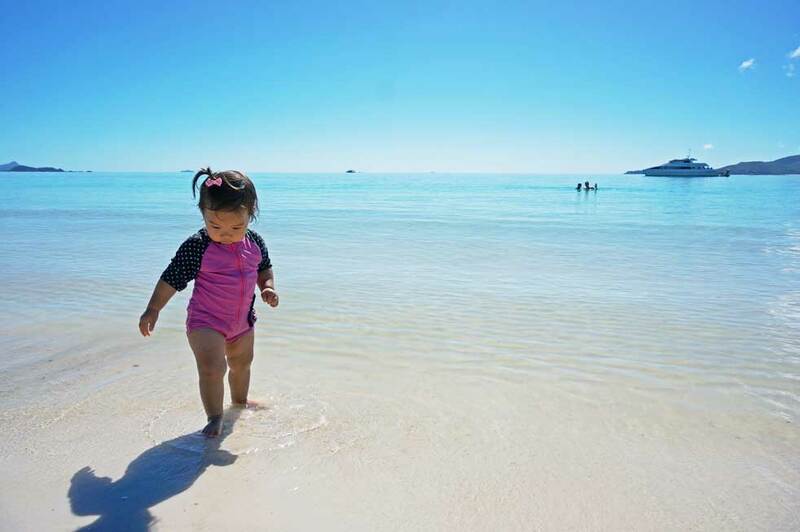 Because a girl can dream, you can easily explore the Whitsunday’s with kids if you have a spare $120,000. Hire the Desisle III Luxury Super Yacht for the week complete with crew. Palm Cove is a quiet beachside town located 30 minutes drive from Cairns International Airport and halfway between Port Douglas and Cairns. It’s a great spot to be based for tours around The Daintree Rainforest and The Great Barrier Reef. There are some excellent resorts and serviced apartments along the esplanade across the road from the beach. Two options I liked were The Pullman Palm Cove Sea Temple Resort and Spa and Elysium Palm Cove Apartments are great resorts right on the Esplanade. As we booked last minute we decided on Mango Lagoon Resort and Spa. An affordable apartment option that offered two bedrooms. 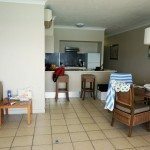 I always choose an apartment over a hotel when travelling with kids for convenience of more space, having your own kitchen for meals in, private laundry and separate sleeping areas. The resort has three kid-friendly pools and was walking distance to the beach. Though, I would highly recommend being on the beach and this place had the really uncomfortable furniture. 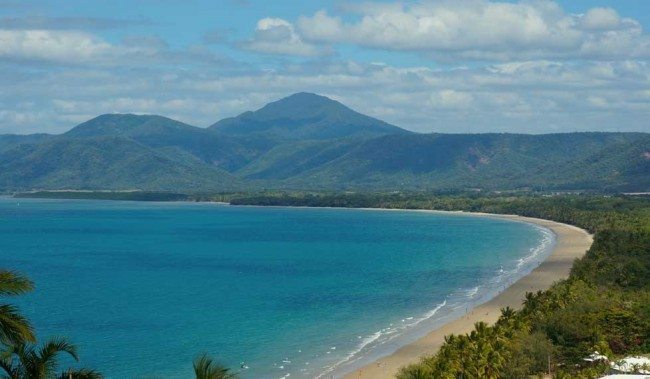 Another option is to stay in Port Douglas which is roughly and hours drive from Cairns. It’s a larger town, with a main shopping hub, boutique shops, restaurants, cafe’s, a petrol station as well as the major supermarket. It’s positioned in a beautiful spot with a with a long stretch of sandy beach within walking distance from town. Port Douglas also offers more accommodation options and has the mariner where tours to the reef depart from. A great alternative to staying in Palm Cove. 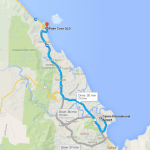 If you don’t mind the extra drive to and from Cairns airport, Port Douglas would be more suitable for the kids. 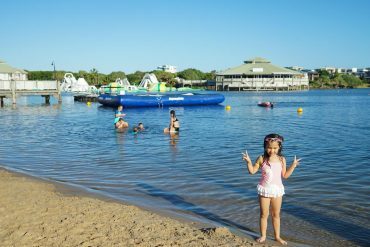 I would’ve loved to stay at the QT Port Douglas situated away from the main town closer to the mariner, a very sophisticated and stylish resort which still welcomes kids though on the pricey side. (Check the maximum occupancy, some do not allow more than 1 child in a room). Though a visit to Palm Cove is recommended. Other options family friendly options include; Peppers Beach Club Port Douglas and Coconut Grove Apartments are modern serviced apartments located within walking distance to town. More affordable options away from town include Pool Resort Port Douglas affordable self contained luxury apartments and Paradise Links Resort spacious apartments located near the golf club with rave reviews. Eyesore? Maybe, the view however is spectacular. There are many islands and resorts to choose from in the Whitsundays. 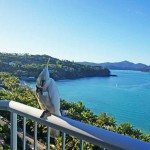 Hamilton Island is highly recommended for this itinerary, with direct flights to and from Cairns to Hamilton Island, the only island in the Whitsundays that has it’s own airport (Great Barrier Reef Airport). 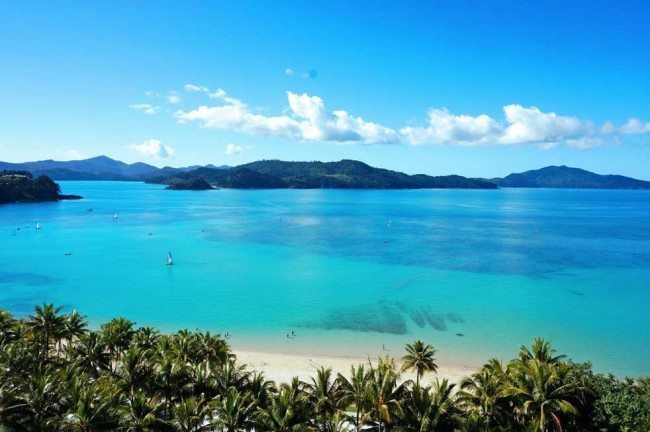 Hamilton Island is the largest inhabited island in the Whitsundays and offers many accommodation options including; house rentals, hotel, resorts and serviced apartments. Hamilton Island also has it’s own shopping village with amenities such as; a small supermarket, clothing retailers, a chemist, a bakery, florist and restaurants. 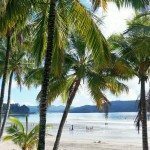 Click here for more information on how to get to Hamilton Island. The major supermarket chain Coles, delivers to Hamilton Island. Order online and have your groceries shipped to the apartment on the day of check in. For the Whitsunday Holiday Apartments, the front desk is familiar with this process and can place it in your apartment for you before you arrive. Be sure to order a couple of weeks in advance as the delivery spots book out quickly. Also, add a note for alternatives for each of your items, they only deliver daily. Re-ordering is difficult as you may need to pay another delivery fee or there might be no availability to deliver something else during your stay. I highly recommend staying at the Whitsunday Holiday Apartments. Built in the early 80’s it’s a monolithic eyesore, looking like prettier style housing commission block. Because it is 12 storeys high, you get a breathtaking view over Catseye Beach and bay. With modern eco-planning, they certainly won’t build anything quite like it again. 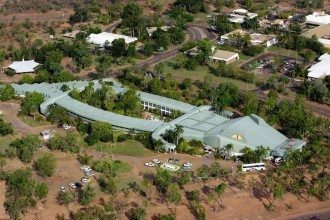 The Whitsunday Holiday Apartments offers one bedroom apartments with its own kitchen and living area. 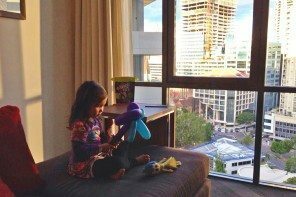 Choose to pay a little extra to stay in the top floors with; unobstructed views, updated decor, and electronics. 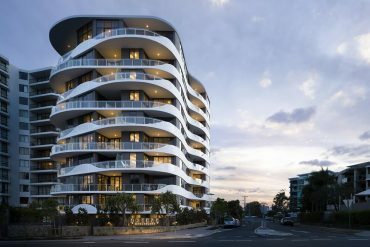 These deluxe apartments get a daily mini-service (bins, linen, and bathrooms cleaned). The apartments are part of the wider resort complex and you have use of the all it’s facilities including multiple pools and spa. They also run weekly activities such as yoga, catamaran races, kids crafts, games and face painting. There is also a kids club and baby sitting service. 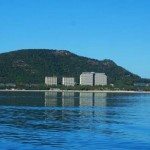 Right next door from our apartments was the Hamilton Island Reef View hotel which is another 12 storey building, where the standard rooms were the same price as our apartments, but without a kitchenette. The nice touch is that all non-motorized sports hire is free of charge (e.g. kayaks, paddle boards, etc.). You can also rent a home or three bed apartment on the island, which comes with its own golf buggy. These tend to be away from Catseye beach closer towards the mariner on the north side of the island. For those who like to live the good life, there is the Conde Nast Best Resort in the World 2012 hotel called Qualia and rumour has it, where Oprah has stayed. It is amazing and kids are welcomed. For a list of hotel options click here. Hayman Island, the most northerly island in the Whitsundays is home to One&Only Hayman Island which recently underwent a major refurbishment with a new brand and beautiful new accomodations and facilities. A more luxurious and therefore pricier option. It has 5 star resort facilities such as spa, top restaurants and a variety of activities and tours. 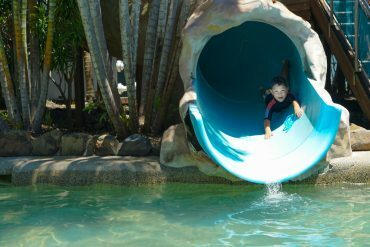 Kids are welcomed with a great KidsOnly Kids Club complete with own watersports and playground, there’s also Creche and Babysitting services. A ferry transfer to Hayman Island is available from Shute Harbour or Great Barrier Reef Airport (50 minutes). See more information on costs and transfer times here. Is located a short ferry ride if flying into Hamilton Island or Abell Point Mariner if flying in from Prosperine. For more information on how to get to Daydream click here. Daydream is a more affordable option and is geared towards families with kid friendly touches like an open air cinema, a man made lagoon filled with fish and coral called “Living Reef” and a kids club. Spotting fish in the semi-submersible. Fun! Book your tours early for a day trip to The Great Barrier Reef as spots fill up quickly. As we decided last minute to go, it was lucky that Palm Cove Tourist Information were very helpful and rang every kid friendly tour available, all were booked out except 4 seats on Quicksilver Silversonic, leaving instead from Port Douglas rather than Cairns. We ended up having a great day out with Quicksilver Cruises on Agincourt Reef . For more information read about my Great Barrier Reef with Kids post. The tours all operate similarly, whereby you cruise from either Port Douglas or Cairns for approximately 1.5 hours to the outer reef on a large catamaran. It then anchors alongside a floating pontoon. This pontoon is where you spend 4-5 hours on the reef with amenities such as change rooms and showers, a dining area for your included seafood buffet lunch, a sun deck, snorkel and swimming gear. 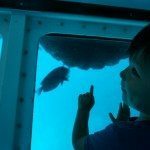 Activities include swimming and snorkelling, coral viewing from a fixed underwater viewing area, guided tours in a semi submersible or glass bottom boat and fish feeding. Optional extras include guided snorkelling tours, diving, helmet diving and some have helicopter tours taking off from the pontoon. 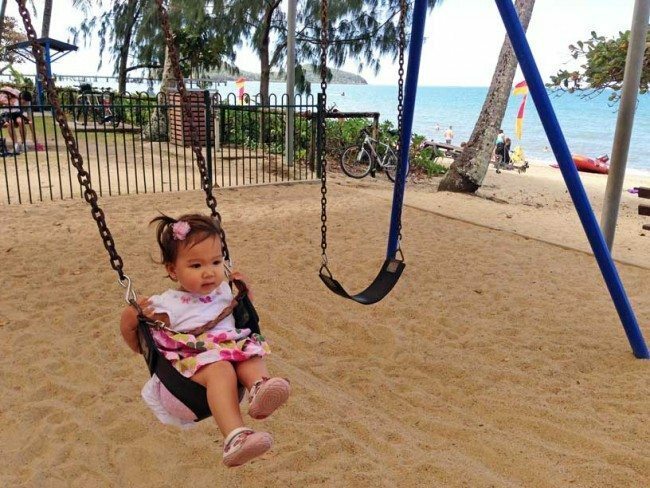 Other kid friendly tours include; Sunlover Tours departing from Cairns, kid friendly touches include an enclosed swimming area for kids to splash and swim safely. They also have a touch pool for kids to interact with the marine life. 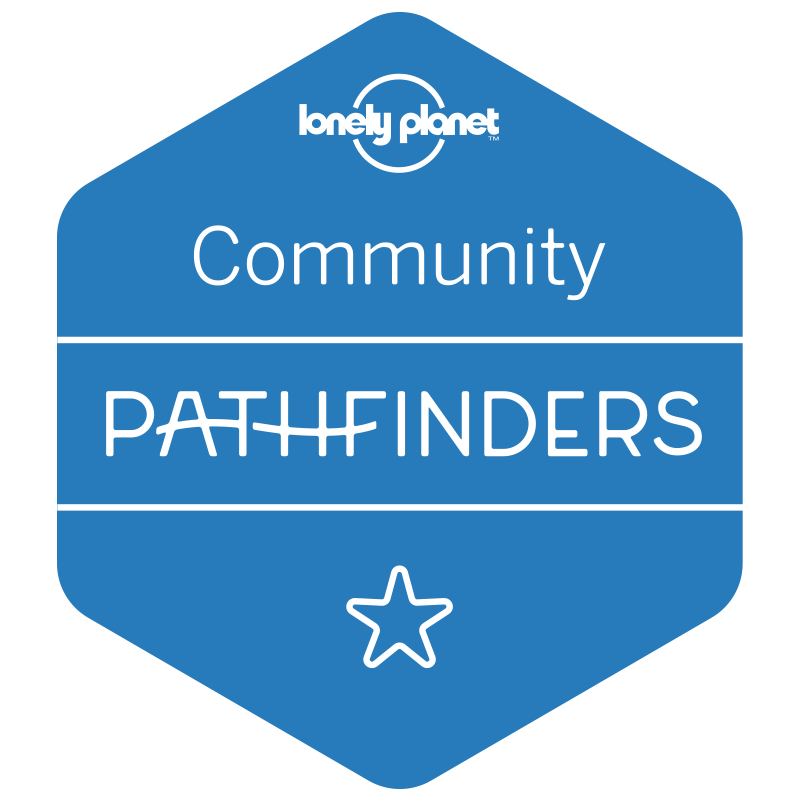 Whichever tour operator you decide on, pay particular attention to where it journeys to. There are tours that take you to a islands such as Franklin Island, Fitzory Island and Green Island. These are islands in the inner reef, where you can snorkel off the island onto coral reef, however it is not the outer reef, the heart of The Great Barrier Reef. Book your hire car from Cairns airport. If you choose to leave your car seats at home, hire your car seats prior to your arrival. 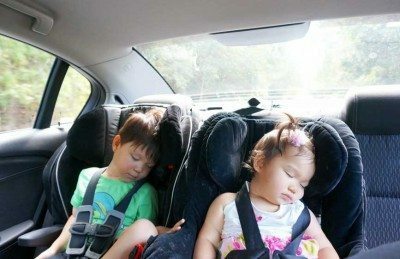 Car seats are limited and need to be requested and installed in advance. Save time, and make your booking either with you hotel front desk or directly with the tour operator prior to arrival. Spots do fill up quickly during major events such as the Whitsunday Island Boat Race where some charters do not operate as they are competing in the race. 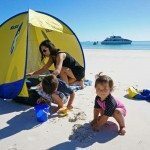 We went with Whitehaven Beach Tours and would recommend using them, the tour ran smoothly, and offered nice touches such as supplying pop up beach tents, sunscreen, water, beach toys, and beach activities for the kids. There is a more luxurious option, to take a seaplane there and enjoy the beach more or less to yourselves. 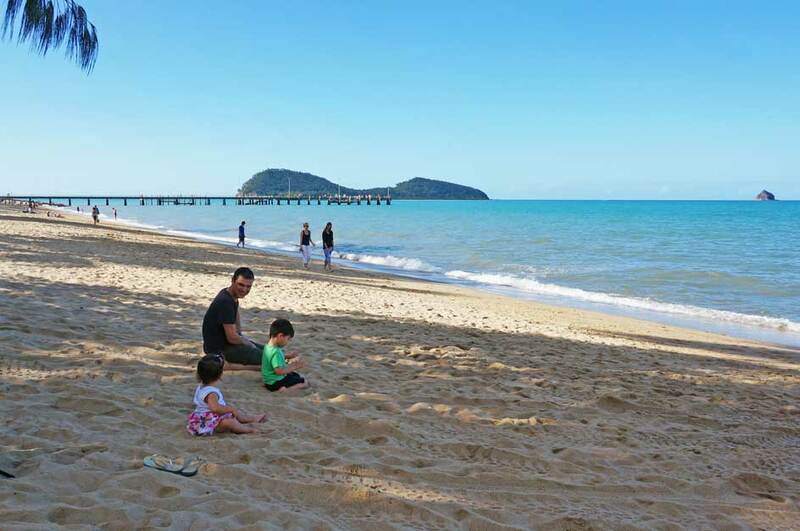 Build sandcastles on Palm Cove beach or walk along the Palm Trees to Palm Cove Jetty. Take a wander down the Esplanade and stop in for an ice cream and some drinks as the sun sets directly across the road on the beach. Rub shoulders with the locals at the Palm Cove Surf Life Saving Club a family friendly and casual atmosphere. For the grown ups, book in a massage or facial at the many spas and retreat on offer. 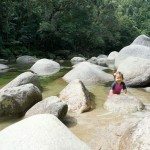 Bring your swimming gear and take the 50 minute scenic drive (from Palm Cove) through tropical seaside rainforest to Mossman Gorge, stopping in Port Douglas on the way. 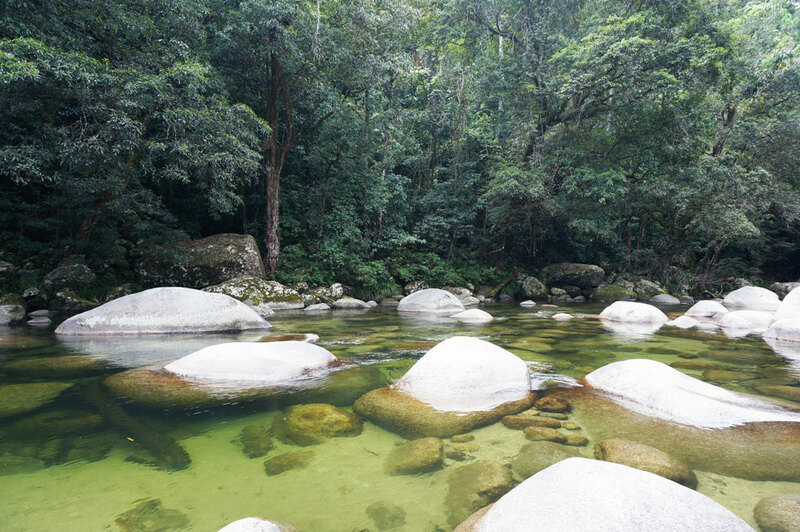 At Mossman Gorge you can take a dip in the clear emerald green pools of fresh river water, surrounded by dense green rainforest. The best part is that this tranquil spot is it’s accessibility for kids. Focusing on eco-friendly tourism, park your car at the Mossman Gorge Centre where you pay for your ride on the shuttle bust to the Gorge. 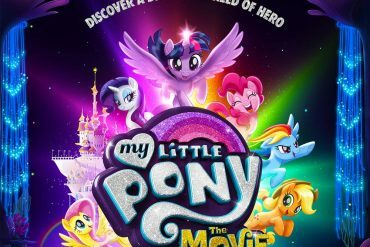 It costs $6 AUD per adult (kids under 3 free). We brought our stroller for the rest of the short 2km walk along raised walkways to the gorge. 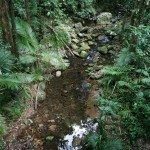 This is a great place to get a feel of the Daintree Rainforest without having to trek through the rainforest for hours. Souvenirs, food, drink and toilets are available in the Mossman Gorge Centre. Relax and soak in the sun on 4 mile beach, Port Douglas. A beautiful wide stretch of sandy beach. Walk along Macrossan Street the main shopping village and pop into the many shops, galleries, cafe’s and restaurants on offer or pick-up some picnic supplies from the supermarket in town. Grab an award winning meat pie from Mocka’s Pies (they even have crocodile pie). Visit Hartleys Crocodile Adventures, about 20 minute drive south of Port Douglas is a unique Aussie zoo experience with a lagoon full of crocodiles and boat trips to view big crocs in their natural environment. 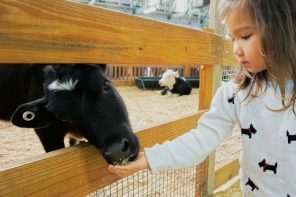 You can also see koalas and kangaroos up close in their petting zoo as well as snake and crocodile shows and exhibits. One of the few places in the world where the rainforest meets the reef. Unlike the Mossman Gorge, this is a pure rainforest experience, with rugged mountain ranges, flowing streams and the pristine white sandy beaches amongst a backdrop of dense jungle. There are no art galleries, restaurants or mobile connectivity here. If you are planning to make a trip to Cape Tribulation, start early. 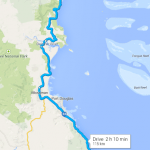 It’s a 90 minute drive on sealed roads from Port Douglas with a ferry crossing in between. Although Daintree River Cable Ferry runs ferries every 15 minutes and the crossing itself takes a few minutes. During peak season and on weekends there can be an additional hour to wait for the crossing. Fees are charged at $16 for cars, $8 for bicycles and $3 for pedestrians. 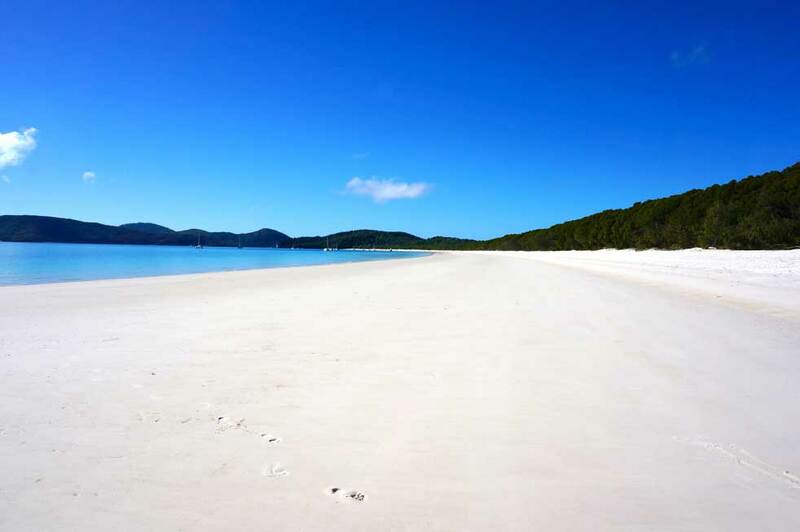 Vist Whitehaven Beach, it’s one of the most beautiful beaches in the world. 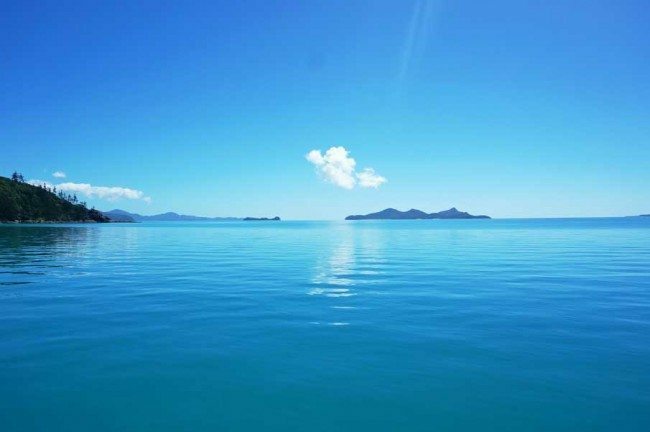 Sail, the Whitsundays is famous for it’s sailing with calm tranquil waters and perfect sailing conditions. Hire a dinghy or charter a boat around the Whitsundays. Unwind, relax and enjoy the beach, the lagoon pools, palm trees and sun in a picture perfect location. You can do as much or as little as you want to. For older kids there are a ton of activities including; quad biking, sea kayaking, paddle boarding or windsurfing. 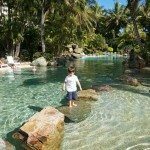 Have you been to tropical North Queensland with kids? Have you got any good tips for travelling there with kids? Please reply below. 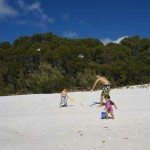 yes, Yes, YES, finally a good site with all the info we need (travelling from Europe with 4 kids, 0-4 years, to Australia in the European summer June – August). Due to size of the family, and age (!) we will probably restrict ourselves to the Brisbane – Post Douglas stretch. Love the info about playgrounds! 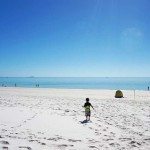 I take the above has all the must see`s / do`s in Queensland? Hi Ralf, Thank you! I appreciate it. Yes, if visiting this is where you want to go. Goto the reef and not just to Green Island. If you are up for the drive, Cape Tribulation is suppose to be beautiful. Port Douglas is the place to base yourself, for the beauty and the vibe. Though Cairns has great accommodation options also. Although I am a local I feel like a tourist in a natural wonderland most of the time. I am so glad you’ve had such a gorgeous time up here, your photos are amazing. The only tips I could suggest is to see as much as you can and take a hat, sunscreen, lots of water and some healthy snacks. Oh and a fully charged camera!